Every Device Eventually Fails. Get Protected NOW! CPR Tools is pleased to announce our new technology partership with Rusolut, the leader in NAND data recovery technology. This partnership means that Visual NAND Reconstructor Kits and Training are now available through CPR Tools! The National Association for Information Destruction (NAID) commissioned CPR Tools to analyze used devices and search for Personally Identifiable Information (PII). In the words of NAID CEO Robert Johnson, the results of this analysis are 'horrifying'. We have been providing industry leading forensic recovery tools and services since 1987. 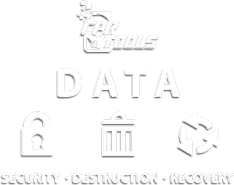 Drawing on our combined expertise in Data Forensics, Data Recovery, Data Destruction and Best Security Practices including 3rd Party Data Eradication Verification Services – CPR Tools was born to assist companies with their data needs. All employees have passed background checks and all facilities employ heightened security measures to protect your private information and data. 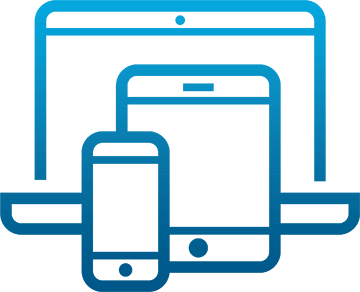 We are able to recover data from all types of storage devices…if you’re not sure give us a call and let us help you. At CPR Tools – We Take Your Data Seriously. We Recover Data When Other Companies Say They Cant! 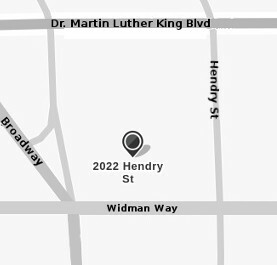 We have one of the best data recovery labs in the country. We have been designing tools for the industry since 1987. If you already have tools and processes in place to eradicate PII data, use our Verification Services to verify they work. We provide industry leading hands-on training in our brand-new training center. Courses include: Data Recovery, Flash Data Recovery, Mobile Media and JTAG Chip-Off. Need custom classes? We can do it! No sooner had I submitted my repair request – and I mean less than 10 seconds – I received a telephone call from Ray asking how CPR Tools could assist. Wow. I was totally impressed. So I express-mailed my thumb drive for data recovery. And on the on the day my thumb drive was to have been received by CPR Tools, I get an e-mail with good news that all data had been recovered. This was not just very good customer service as promised, but super outstanding customer service at warp speed. CPR Tools is a highly dependable, friendly place with great customer service. Their prices are extremely fair as compared to other organizations I spoke to. [Edit: another company] could do nothing other than offer to send it out. CPR does all work on-site and even worked on my seriously damaged drive just after hurricane Irma hit Florida. In addition to recovering ALL of my data for over 15 years worth of files, they were also able to un-encrypt my data files that i had forgotten i had encrypted. They stay in close contact to keep you apprised of status. You can trust them to do the best that is possible to recover your data. I like to thank the team from CPR tools for an outstanding job in recovering data from my corrupted hard drive. You were extremely professional and the service was very fast (next day). By the way you have a gem at the front desk. Ray is a phenomenal people person, he managed to keep emotions and stress in check and change them to pure confidence and trust in your service. You are the best of the best in your industry. I had lost all hope of being able to recover my data until I walked in the door at CPR Tools! Previously, I felt secure with my data back up (Backbkaze) which I had on all of my computers, until one day I had a hard drive malfunction and lost everything. Backblaze was unable to retrieve my Quickbooks (most important stuff) and have no number to call, you have to submit a trouble ticket every time. I was recommended to CPR Tools by You Break it We Fix it, he said they can surely help you and they were so right! From the time I walked in the door I felt better! It was a few days and I had all of my data and they even took my non working hard drive and destroyed it for me. Ray and the staff here are top notch and I HIGHLY recommend them! Thank you CPR Tools! You were life savers! My home computer crashed and a friend suggested I seek help from CPR Tools. I delivered the hard drive to their offices for an assessment and proposed course of action. The findings were reported to me along with a cost to resolve the issue. The service rendered surpassed my expectation. My ENTIRE life was on an external hard drive which stopped responding and I was desperate to retrieve the data. I called a computer repair company that I had done work with in the past and they referred me to CPR Tools. From the moment I made the call and spoke with Ray, I found him to be very knowledgeable and reassuring. Based on our initial conversation, he correctly diagnosed the problem and 24 hours after bringing him my external hard drive, my data was retrieved. Thank you Ray and the CPR Tools staff for your quick diagnosis and attention to detail. I hope I never have to use you again for data recovery, but if I do, I know I’ll be in good hands. I broke my USB drive, and my drive contained a lot of manuals. [Edit: another company], couldn’t help me, a computer tech couldn’t help me, in fact I called multiple places l and was turned away. Obviously, my final stop was CPR Tools. They took my drive, recovered all my data. If I ever need anything fixed again, I’m going to CPR Tools. Highly recommended! CPR Tools saves the day! 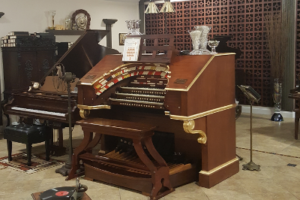 I own a 1927 Wurlitzer theater pipe organ, built for a luxury movie palace in Chicago. It found its way to my Florida home in 2010 and was outfitted with a modern computer based relay system. After capturing some 120 hours of recording, the hard drive in the new relay computer failed meaning the loss of irreplaceable performances. Less than one week later the computer had a new hard drive and my data was safe and sound thanks to CPR Tools. The staff was very pleasant to deal with and took an interest in the recovery project as well. I learned two lessons that day – 1) back up your data often and 2) Keep CPR Tools phone number handy! My biggest fear was that no one would be able to recover the data, due to the condition of the hard drive, but all of my files were recovered! I was relieved and thankful that everyone I spoke to was helpful in explaining the recovery process so that I could understand what needed to happen. I will make sure that I tell everyone I know that CPR Tools is a great company for data recovery. Also, I greatly appreciated that the CEO and Staff of CPR Tools were so understanding towards my financial situation and willing to work with me so that I could have my data back. I will never forget that kindness. I was heartbroken when I wasn’t able to get my family pictures back and was disappointed in myself for not backing them up. I want to thank everyone at CPR Tools for working so hard to get them back for us. My husband and I could not be more happy…and even more impressive was when the technician took the time to sit with me in the office to show me how to connect the USB drive and use it. Being older and having someone take the time, well it’s the best customer service I have gotten in a long time. I have dealt with many companies over the years but I can honestly say that this was one of the most professional encounters I have ever had. I felt like I had been punched in the gut when I tried to open my pictures only to get error messages. I found you on google and I am so glad I did. What I liked best was it was fast and I never felt like I was out of the loop on what was going on. I will recommend you to everyone I talk to. I am sure people say this all the time but saying thank you doesn’t seem like enough. You saved my life! We had always been told to backup…we did. When our server crashed and we tried to restore from backup it failed. We were told about CPR Tools at an Office Max store. We called them up and sent our drives. They were very nice on the phone and I believe they truly understood our anguish. Within 10 days we were back up and running and they even gave some great ideas for future backups. This is to all the people at CPR…THANK YOU! You guys are without a doubt the best! CPR Tools just did unbelievable work. All of my business files were recovered and sent back to me within 4 days of sending my macbook to them. I took my macbook to the Apple store and they couldn’t do anything to get my data back. I went to Best Buy and they charged me $100 to fail. Sent it to CPR Tools and all my data is here. Unbelievable. Truly professionals! They recovered all of my data and it only took 3 days! Thank you so much for everything. I will recommend you to anyone who needs data recovery service!! Wonderful to work with….Professional & just truly surgeons at work! they recovered all I thought was lost!!!! Highly recommend! First of all, I just want to say thanks from the bottom of my heart for all of your efforts, hardwork, and dedication in recovering 99% percent of the data on my old hard drive and transferring it to newer hard drive. I really appreciate and applaud all of your efforts very much. Not only, I want to also say thanks for keeping me up to date on what was going on during the data recovery process. CPR tools didn’t just save the day, they saved over 7 years of my life! I took my backup external drive to three different places and no one was able to help me. The last place I went to recommended CPR Tools in Labelle, FL. I’m so glad I took it to them because they were able to recover 99% of my data, including over 7 years of personal photos and over a years worth of my business files as well! I highly recommend them and would be willing to provide a verbal recommendation for them as well. Thanks again CPR Tools! Thank you for recovering all of our data. What is most interesting is that you recovered many of the same files that the first company we took it to had recovered but the other company returned all corrupted files and all of the files that you recovered that I have tested so far I can open. I guess that is the difference. One looks like recovery and the other is recovery. This service has a non-refundable evaluation fee of $50.00. Balance of $149.00 is due AFTER successful data recovery. Basic level of recovery. Recoveries in this category do not require parts from a donor drive. 85% of all data recoveries at CPR Tools fall into this category. If we are unsuccessful in recovering your data, there are no additional charges. Upon successful recovery of your data, the service rate is $250/hour.